On-point Cooling Solutions for the Off Highway Industry. The off highway business is changing towards more fuel-efficient solutions at a rapid pace, placing demands on compact, well-integrated and designed cooling. We combine advanced simulations with creative engineering and quality production to deliver top-of-the-line performance with full attention to fuel consumption and the environment. Cooling Needs aren’t Constant. Why Should Energy Consumption be. At lower engine power output and temperatures, only the charge air needs cooling. 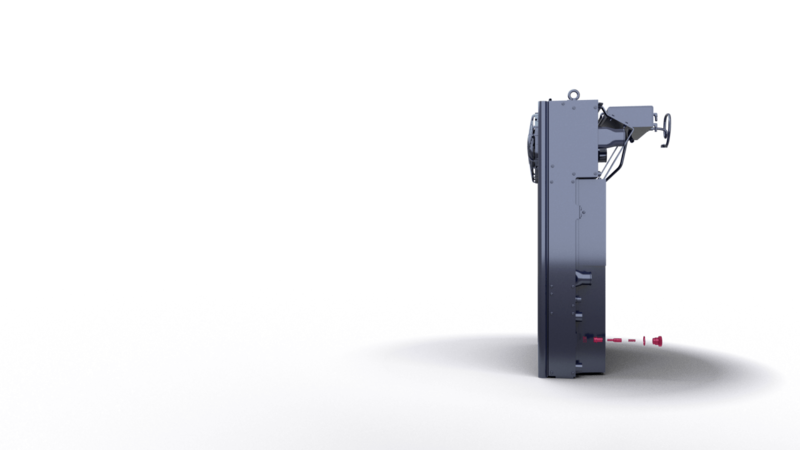 To save fuel and increase cooling efficiency, we’ve split the airflow so that the CAC can be independently cooled by two electric brushless fans. Three Benefits of Smart Design. 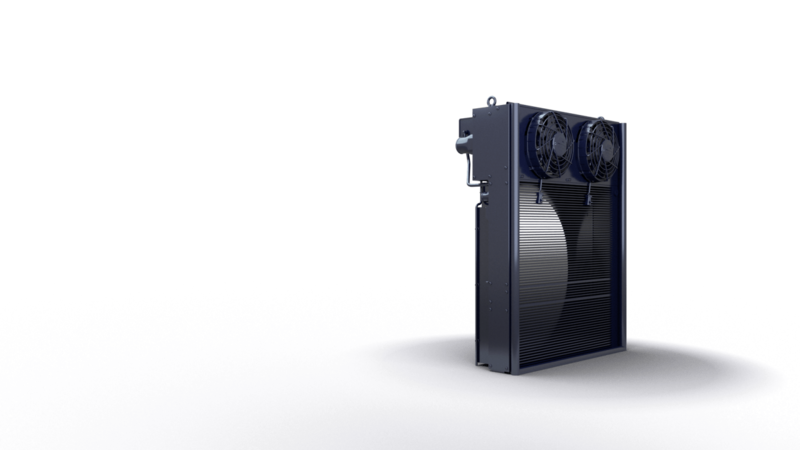 Our side-by-side coolers integrate the AC condenser. Aside from saving space, this means air flow is kept cooler and the whole system becomes less sensitive to clogging and dirt. By integrating a temperature and pressure bypass valve in the oil cooler, we achieve a compact, cost-efficient and fast-track solution that enables the oil to reach the correct temperature. Once the temperature is reached, the bypass automatically works as a pressure bypass valve. The integrated bypass reduces the need for extra components and dramatically reduces the risk of damaging the oil cooler. Our calculation software gives us a wide array of air fins, fans, fan houses and fan guards to model optimal airflow and cooling efficiency based on different applications and environments. 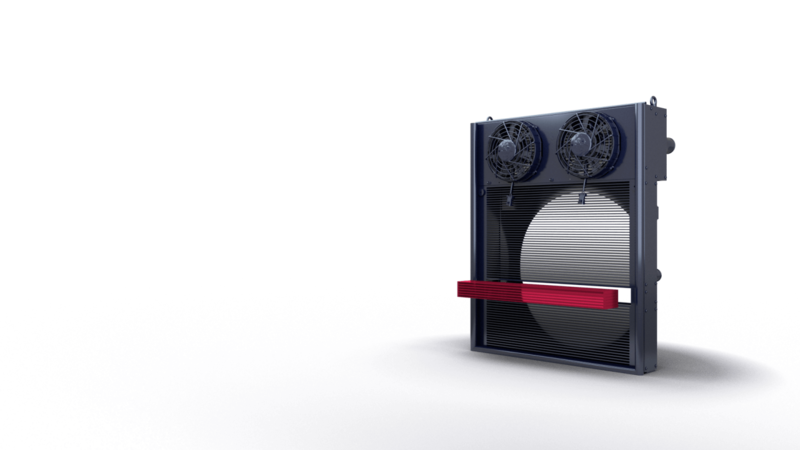 We can also simulate a range of turbulators and fluids to model temperatures, flows, and internal pressure drops. 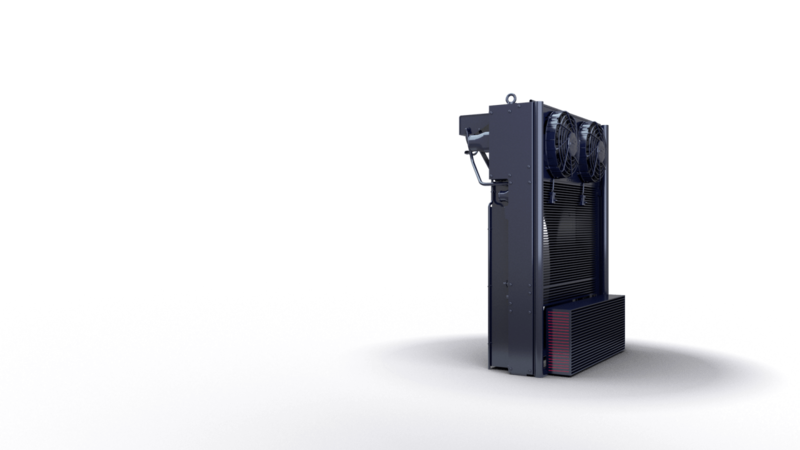 Combined, fluid and pressure simulations help optimize the coolers from both a cost and efficiency perspective and lead to a solution that best matches the customer’s need. 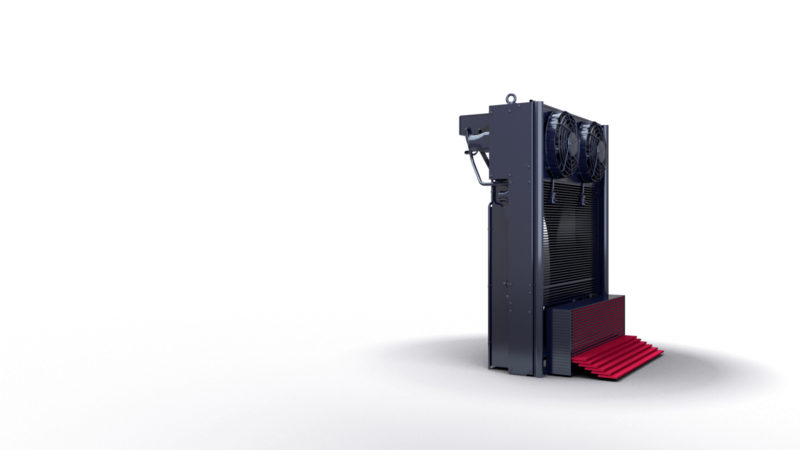 In short, we offer a complete cooling solution including AC condenser for the whole machine, delivered with mounted expansion vessel, fan gaskets and attachments for easy slot-in installation. Optimized for efficiency, stability, and lower emissions to provide a long lifecycle of savings for your end customer. 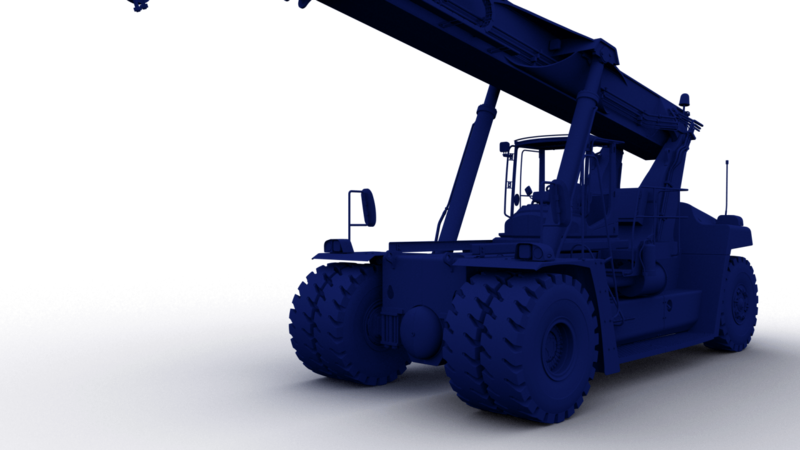 We make complete cooling, thermal management and hydraulic systems from the ground up. Combining extensive engineering and application knowledge with state-of-the-art production means we can ensure superior quality, while keeping the time from order to prototype as short as possible. To Find the Best Solutions, We Look Into the Future. A First Look at Something Really Cool. After getting agreement on our layout, we begin modeling the design in exact detail. 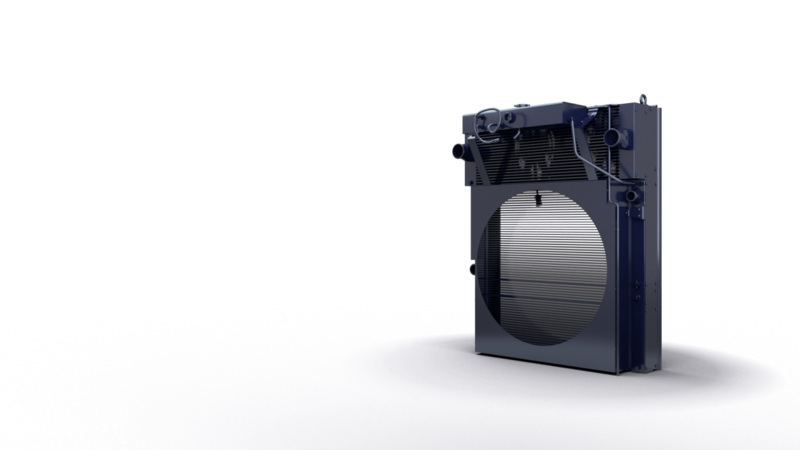 After we’ve thoroughly examined the 3D-model, it’s sent to you – no more than one week after the agreement is finalized. After your agreement, the final design is broken up into detailed production drawings to enable manufacturing of each individual part. With a complete bill of materials, it’s time to start production. Making Sure There is No Weakest Link. All parts included in the complete BOM of the final product are manufactured. Either internally in our own production facilities – we have full control of the production chain with capacity for aluminum matrix and steel production – or by handpicked and approved suppliers that meet our high demands on quality and delivery times. Every new product will pass a prototype assembly where both production and design thoroughly evaluate the prototype to ensure that all design and customer specifications are met or exceeded. Keeping it Cool Since 2005.